RideShareGuides.com RSGNetwork shares information and news to rideshare and delivery drivers. We do this via blogs, vlogs, forum and app. The rideshare driver concept is universal, if you think of it. It does not matter which country or city you live in or for what rideshare platform you drive. The requirements differ, but the principle is the same. Rideshare drivers want to earn money and they sign up to drive. Passengers want to be transported from point A to point B. Sounds simple, but yet it is not. And giving that first ride is almost like going on a blind date. We know, and therefore try to help the beginners to get a jump start. We provide Uber Partner/Lyft Driver training and coaching. Coach Carl’s Advanced Tips and Tricks offers valuable insight to all rideshare drivers. Coach Carl wants to help entrepreneurs like you to earn more money doing your job. Our mission is to produce new information as well as share existing information to all rideshare and delivery drivers. Delivery and courier apps such as Instacart, Shipt and Amazon Flex have found their market. They have developed swiftly to offer consumers a service many of them seem to have been missing. Many entrepreneurs are now smartly working both as rideshare and delivery drivers. They alternate driving for these platforms trying to make the most money. We strive to spread the news. Rideshare and delivery drivers needs to know what is going. Rideshare and delivery platforms keep developing and business in general keeps changing. Sometimes the blogs and video blogs, or vlogs may be controversial as we want to give the driver community food for thought. RideShareGuides wants to connect with rideshare and delivery drivers at the grassroots level. We want to do it locally and globally to build a community that is vivid and alive. Rideshareguides.com started out as an idea to help newcomers become successful rideshare drivers. We developed RideShareGuides Uber Partner and Lyft Driver coaching. True, there was and is guidance available, but yet no direct help to get started. We understand your entrepreneur mindset and your needs to earn extra income. Our needs range from supporting our families to doing something for ourselves. We at RideShareGuides do our best to provide you current knowledge. You need it in your effort to be successful in what you want to do. A single website quickly developed into a network of sites. The aim is to offer more choices and cater to a wider audience. Rideshare and delivery drivers are part of the Smartphone Application Workforce (SAW). It is good to discuss the conditions of working in this industry. It is also good to be aware of what is happening globally. We further expand to include other kinds of moneymaking smartphone apps. They are useful to the community and can add to your earnings as entrepreneurs. Carl Lawrence aka Coach Carl is our head figure. Coach Carl has been driving passengers in New York City for over twenty years. He started well before anybody even thought about rideshare platforms like Uber, Lyft, Juno and the likes we have today. He is a Manager of Brooklyn-based Flamingo Car Service and a licensed NYC TLC driver. 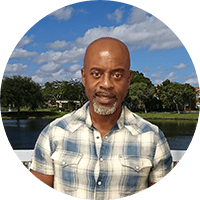 Coach Carl drives for Uber, Lyft and Instacart in New York and South Florida. He is a veteran driver and has given over 30,000 rides. He knows the business and can readily coach any rideshare driver. Carl has educational background in marketing and has been successfully integrating his strategies in online marketing. He strongly identifies with being a true entrepreneur and knows the ups and downs of running your own business. To be successful can mean long hours, but it can also be very rewarding. Furthermore, he holds an active private investigator agency license in Florida. Courthouse Investigative Agency has its own website providing these services. 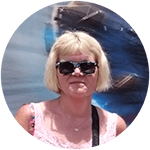 Paivi Byers aka Jane Rider is a blogger and content writer. As an accountant, she understands quite well how the current day multi-billion dollar rideshare business works. She knows Uber and Lyft that are prominent on the market. Jane has followed the development of shopper and delivery app business. She also is a part-time Instacart shopper. Jane writes about news, the rides she has taken and generally about the industry. Look out for her blogs! Jane is the Webmaster of the RSGNetwork websites. She keeps on developing the network. We have other associates who contribute to our content from time to time. This means styles and subjects can vary. It will yet keep the content interesting for you to follow. Sign up as Uber Partner/Lyft Driver and get a Free Beginner’s Guide*! Feel free to sign up with Uber or Lyft using our referral links and get a Free Beginner’s Guide to get you started to make the most money and be successful from the very beginning. *Sign up as a member to RSGNetwork and you will receive instructions on how to claim your Free Beginner’s Guide.